Both buyers and sellers offer their Costa Rica real estate testimonials about their experiences with our Costa Rica real estate agents. 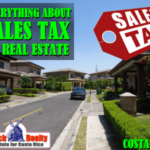 For those of you who want to know more about the real estate agents you might want to use to purchase your property in Costa Rica, we offer you testimonials from our buyers and sellers, where they will tell you about their experiences of selling or buying real estate in Costa Rica through a GoDutch Realty agent. Our clients have bought in great locations in the Central Valley like Escazu, Santa Ana, Grecia, Atenas, Naranjo, Los Santos, Cariari and many others and they share their testimonials with you here. 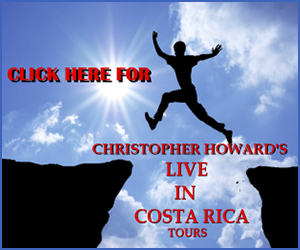 For even more Costa Rica real estate testimonials – go to page 2. I first contacted Brooke online, when my husband and I were looking to make a move from Mexico to Costa Rica. At that time (Nov 18) she was polite and responded quickly. She sent a few choices that day, which didn’t look like what we wanted, so we chose to search for our rental home by ourselves, (not one of my brighter moves in life). After renting in Barva for a couple of months, I contacted Brooke again and told her how miserable we were and would really appreciate her insight and help in looking for a better-suited rental for us. She responded quickly and got us all set up. Brooke then began the search of finding us not one, but also a second house for my brother and his family. There was a point that a realization happened that we didn’t think there was any way we would be able to get a house within 15 min of each other much fewer neighbors. She remained persistent and continued to work with the seller of our home (who also had an adjacent piece of property with a house on it). This required many calls and emails from her to try and put this deal together for us. Success !! Now, 6 or maybe 8 weeks later, we finally closed on our homes. Brooke is a very effective realtor, who takes care of every person she meets as a ” friend”. She is tireless in her assistance with helping a person to settle into a new home or rental. She has been an immeasurable help to us adjusting to our new country as well. Her positive happy attitude is infectious and makes you feel everything is going to turn out all right….. I feel quite blessed to call her a friend and look forward to many happy years in our new home. Within 5 minutes of meeting Brooke, my wife and I both knew that she was the real estate agent we wanted to work with. Brooke is down to earth, completely unpretentious, 100% bilingual and extremely knowledgeable about the Costa Rican real estate market. She is always easy to reach, never fails to get back to you and is always responsive and helpful. More than that, she makes herself available to expat buyers, long after the closing to help with the many challenges related to living in a foreign country. During the past two years my wife and I have bought two houses in Costa Rica, sold one of them and looked at many more and the service we have received from Brooke has been second to none. In the past, I have bought properties in England, Canada, and New Zealand and, at no time, have I experienced such a complete real estate package as Brooke. Absolute trust and honesty are Brooke’s main attributes, closely followed by an uncanny attention to detail and personal support in those many issues that inevitably have to be resolved here in Costa Rica. Brooke’s communication skills, in both Spanish and English, are exemplary. Her continual good-naturedness in resolving all those frustrating bureaucratic nightmares is a lesson to all of us in patience and goodwill. I am very happy to unhesitatingly recommend Brooke for all your real estate needs, be they buying, selling or renting and I’m confident that, with Brooke looking after you completely, you will be extremely happy with the result. Best experience ever. We Love her. Our first trip to Costa Rica was to look at different areas and see if we wanted to choose Costa Rica for our retirement dream. We had made arrangements with Marian from Go Dutch Realty to look at rental homes. Marian found the “one” it was in Atenas and was one of Marian ‘s listings. She had several homes for us to look at but when we saw the Vista Atenas home…we were in love. The house was perfect and Marian was able to negotiate with the landlord to accept our two little dogs. She was so comforting and helpful and went way beyond what a real-estate agent would. When we came, with all our belongings in three suitcases each, Marian and her husband met us at the airport. They knew we had the dogs and had to go though the long and tedious process of getting them from the airport. Her husband brought transportation for me and all of our luggage to go ahead to our new home. Our relationship did not end after our business relationship did. Marian was always a call away if we need information about what market or bank to use. One night we were trapped in a Taxi that couldn’t find our house. We were going around and around in the dark and were starting to panic and thought that we would never find our home again. I called Marian and she got on the phone with the driver and saw that we got home safely. We are now living happily in our home and would not hesitate Marian in the future if the need arrises. We wanted to write this note to say how extremely pleased we were with Ms. Marian Veltman. And “extremely pleased” doesn’t do justice for what all Marian did for us while buying our home in Atenas. We could not be living our “dream” without her. -Her patience and diligence in showing us numerous houses on each of our trips to Costa Rica. -Once we found “our” home, her diligence of working with the sellers to negotiate the price. -Negotiated prices of pieces of furniture we wanted to keep. -Gave options on where to stay, eat, shop on each of our trips. -Helped us with opening our bank accounts (which took several hours). -Drove us to the airport. -Helped with setting up the internet service and home insurance. -Worked closely with us in dealings with the lawyer. -Coordinated meetings with the current groundskeeper and pool service to retain their services. -Introduced us to our new neighbors. -Assisted us with buying items for the new house. -And, most importantly, she was our translator in all transactions since we have yet to learn Spanish. We are not accustomed to such excellent service in the United States. We could not be any happier or indebted to Marian. We continually tell her she is our “lifesaver” while we are in Costa Rica. 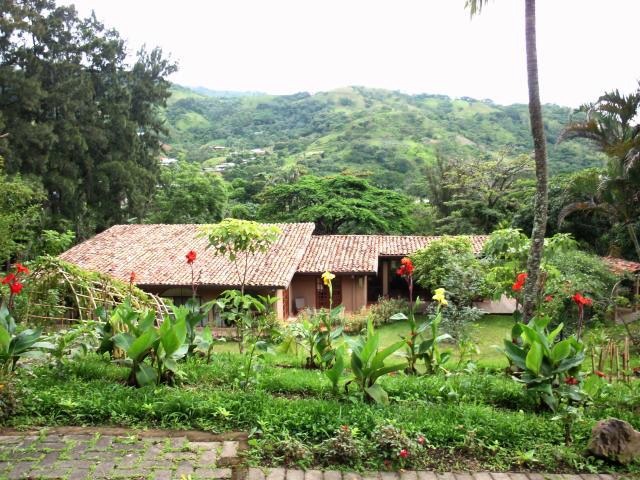 She rates a 10+ and we would recommend her to anyone who is interested in Costa Rica living. She has become more than a Real Estate agent to us, she has become a friend. She is the BEST. Very nice gift from buyers Pat & Don for services rendered. We are happily on our way back to Canada on Thursday and you both have had a major role in our happiness. Brooke, you have responded to every facet of real estate agency activities with stunning success. You prepared us well for the process, helped us set our price target, kept us informed of buyer interest and negotiated the buyer-seller interface flawlessly. The amount and range of your support during the closing stages is without precedent in our real estate experience. Any seller is lucky to have you on their side. 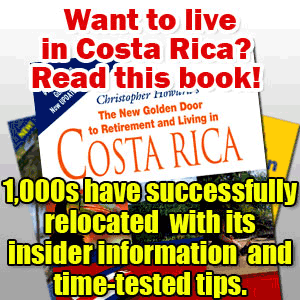 Ivo, you helped us find the lot we bought back in 2004 after counseling us on the realities of Costa Rica real estate. You acted as our power of attorney in the execution of the purchase and supported us in the final aspects of the legal tribulations that are Costa Rican law. You and your team have done very well for us, for which we thank you. Janet & I wish you both continued success. We are pleased to recommend Marian to others searching for the perfect home in Atenas. We met on our fourth of fifth trip to Costa Rica trip, after exchanging emails. While we had selected things we were interested in seeing, as everyone knows, seeing it on the internet versus “for real” is a different experience. As we went through homes, she watched our reactions, asked tons of questions at each house, and quickly digested and understood what was important to us. Marian didn’t try to oversell us beyond our stated budget, was candid about what homes may not work for us, and introduced us to Pablo Arias for our real estate attorney. (Whom I recommend as well!). She attended our meetings and held our hands through the process. As important, Marian remains post closing what my husband describes as our “concierge”. She helps with everything! Need a fence builder? OK! Need a contractor for your casita? OK! Want to meet people? Join our dinner! Suffice to say, we recommend her without reservations. I would like to thank Marian for the absolutely-magnificent work that she has done for us selling our home in Atenas. Her insight to detail and care of making sure that everything was in superb condition inside and outdoors on the property. She coordinated any repairs needed, made sure that the gardens/ yard maintenance, pool and housekeeping were to perfection. Marian made my husband and I feel at ease leaving our home in her care while living thousands of miles away. She not only did a superb job with our listing,showing and selling of our property, she has become a precious friend. We had decided to move to Costa Rica before deciding to look for a realtor. However, we did considerable research and learned that … to be brief… that GoDutch Realty was extremely well thought of by many people, and many think it is the best realtor in the country. We called Brooke because she represented GoDutch in our chosen area of Grecia. We were delighted to find out how great she is. We only wanted to look in the Grecia area. Brooke impressed us with her eagerness to research and find answers to our questions she could not answer immediately. We trusted her answers because we were confident she would not tell us something simply to give us an answer. Real estate transactions are always stressful. I do not know what else Brooke could have done to make it easier. She consistently responded to questions, calls and emails very quickly, often immediately. She accompanied us on all important meetings. 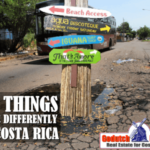 We decided to investigate a move to Costa Rica before we knew about Go Dutch Realty. We contacted Brooke Bishop online, and she arranged for us to see about 8 properties on a fact-finding trip. Our experience was over the top with her. Not only did she have our best interest at heart, but she is a wealth of information on resources of all kinds. Our experience with her gave us the confidence to go forward with our plans to move. Brooke took the time to find out what we were looking for, and narrowed the field so that most of the houses we looked at, and areas we visited were of interest. She answered many questions about relocation, immigration, life in Costa Rica, etc. Above all, she referred us to top-notch experts (Attorneys, shipper, business people of all kinds). She continues to provide assistance with translation, referrals to vendors, and has become a good friend. There’s not a tax question or immigration question she can’t help me find the answer to. The purchase itself was amazingly smooth. Brooke set us up with attorney Pablo Gonzalez to setup the corporation and draw up the offer and acceptance. Everything else was handled online. She then helped us get utilities transferred, obtain insurance, find a car, a mechanic, open a bank account…the list goes on. GoDutch Realty is so much more than a Realty Company. It’s a complete relocation assistance service, with many of the services coming after the sale. We could not be happier with the way Brooke has helped us relocate. Brooke continues to take great care of us! Hi Ivo, We read all of your blogs & find them very informative & helpful. We were in Costa Rica Last week for two weeks. We just want to tell you how much we love your beautiful country and friendly people. two beautiful homes in Costa Rica. I can’t say enough times as to how impressed I am with your professionalism and the way you conduct business. It’s refreshing, and it also tells me that good service can be had in Costa Rica. We’ll stay in touch. Hope you made an impact at Beacon Hotel in Escazu. We were generally happy with hotel and staff – but very disappointed with managements concern for us when we lost 800+ dollars from our safety box while in their care. ‎Rudy we were very happy and surprised by the time and effort you ‎gave us during our time in Costa Rica. We were fortunate to find exactly what we were looking for in a property – Thanks! I’ll make an exception and give a testimonial for agent Brooke at Go Dutch Realty. From either a buyers or sellers perspective you will not find a better agent relative to communications, follow up and effort. Brooke and her associates just simply does what it takes to get the job done with integrity and honesty, minus the fluff, she sold two of my properties in the same year. 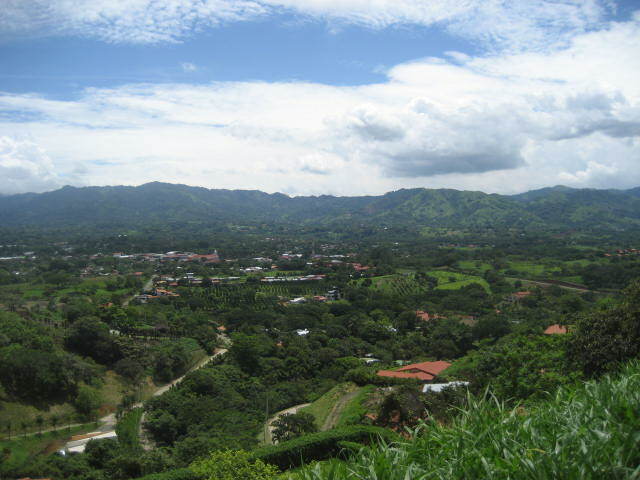 Give Brooke a call in Spanish or English for your commercial, residential or vacant lot purchases and or listing, you’ll then understand the difference between her and other Costa Rica realtors. Marian, our day with you was fabulous. We enjoyed meeting you, and we thank you so much for taking the time, not only for showing properties, but to visit the farmer’s market. Above all, thank you for arranging the car rental and the taxi ride with Henri. I only wish we could have communicated better with him. The car rental agency was very good to work with. I found our way back with a little confusion because I got off the hiway at La Garita instead of the Sarchi exit, then wandered through one way streets in Grecia to find the road to the hotel, but it’s part of the adventure. Today we’re driving out to the Guanacaste area. One of our sweet neighbors at Mango Valley found herself stranded, and we thought that rather than her having to take buses into San Jose, and from there to the coast, we would drive her, and take the opportunity to see more of the country. We’ll do our best to get back before dark, as I’m not familiar with the roads. Shahla and I thank-you for your time spent with us in search of a suitable property. Your research prior to our arrival was invaluable in viewing appropriate potentials efficiently given our short time to search. In the end your attention in listening to our discussion while travelling led you to show us the perfect match property we were looking for. The entire experience through Go Dutch , including help finding legal advise and contract negotiation in Costa Rica , was professional , right paced and pleasant. My wife and I would like to share our experience with Rudy Matthews as our real estate agent for our purchase in Costa Rica. My wife and I are US citizens and were considering buying in Costa Rica but were a little uncomfortable making such a big decision without having any contacts or knowing anyone in the country. After countless hours of research, my wife came across Rudy’s profile on “godutchrealty.com” and recommended we consider him as our real estate agent. She explained that after reading Rudy’s referrals, she learned that he has the reputation of being honest and sincere. That is something that was very important to both of us. We decided to contact Rudy and the rest is history. After speaking to Rudy, we knew we made the right decision. From the first conversation we felt his honesty and sincere desire to help us. He listened to what we were looking for and always gave us honest and professional advice. We always had the feeling he had our best interest in mind, not his. That in itself was very comforting and worth its weight in gold. Rudy helped us locate the perfect property and we could not be happier. With only one trip to Costa Rica, we not only found our dream home…we found a new friend! A good friend of ours referred us to Rudy Matthews when he thought we might be interested in a house in Costa Rica. We told Rudy our wishes and he lined up numerous properties. We couldn’t believe how well he had listened to our needs and desires. All the properties were ones we had to consider. Rudy was honest, knowledgeable and patient. 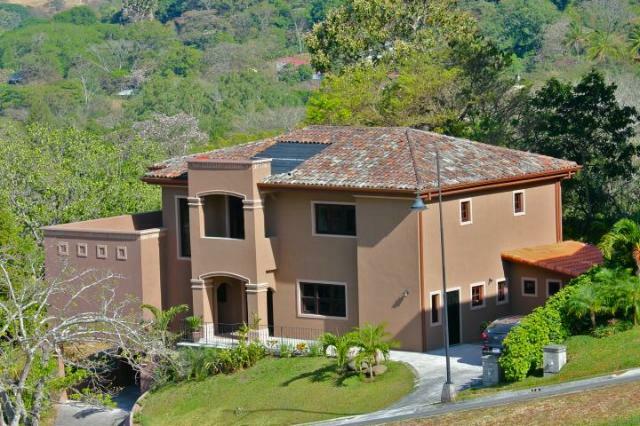 Looking at homes throughout Costa Rica, every agent from Go Dutch Realty was extremely helpful and knowledgeable. The purchase we made in Atenas was the sixth home that we have bought. Over the years, Rudy is the best agent we have had. We now call him a friend. I appreciate your candor and efficiency. After completing some extensive research on Costa Rica, and viewed a significant number or real estate websites, I selected Godutch realty. 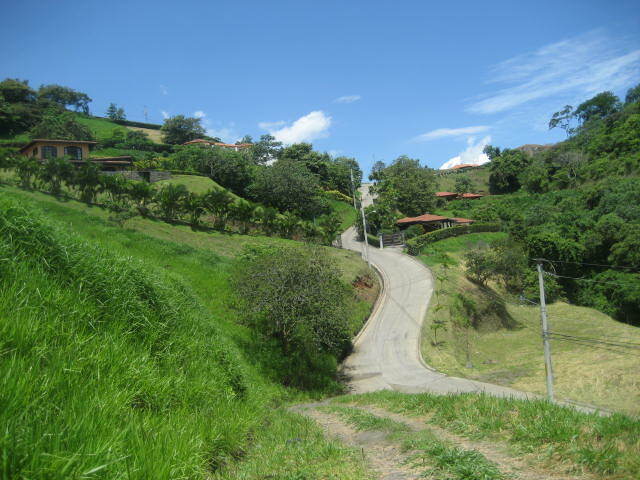 As I was unsure of where exactly I would like to purchase, I knew I wanted to look at properties between Heredia and Orotina. I contacted Rudy Matthews as he does not specialize in any one area. Right from the start, our communications were timely, informative, efficient and effective. Rudy promptly replied to inquiries and questions. When we finally met up to view listings, Rudy was well prepared and had number of listings ready to be viewed that I had selected. Before my arrival in San Jose, Rudy worked with his other colleagues at Godutch to setup the appointments and have them participate in the viewings to provide their insights and perspectives with each listing. Rudy would guide me down the path I chose with selections but did not in any way try to unduly influence or direct me to listings that were not of interest to me. After spending a number of days looking at properties, we narrowed down to 3 that worked for me. We viewed them again and Rudy and his colleagues provided me as much time as I needed to have a good look and answer any questions. At one point Rudy took me off to the side and said there was a property I should have a look at that was not on my list. The property was not in my price range, some of the selling points were of no real interest to me but Rudy patiently explained to me the pros and cons of each selling point. That helped me out significantly. This is where Brooke Bishop of Godutch enters the picture. Brooke’s area is Grecia and the house was her listing. Rudy made an appointment to view the house and Brooke was there to help out any way she could. We spent a good chunk of time talking about the house, what I could do with it and the options that were available to me. I took a liking to the house and then decided after some reflection that this is the one. After some lengthy negotiations and interesting situations, we closed the deal and I took possession of the house. I then had to go through the routine of changing over utilities, opening a bank account and getting other bits sorted. Brooke was right there by my side to provide the after sale service. Brooke of course was under no obligation to do this. Brooke made the appointments and took me to each location and handled it all. I do not speak Spanish so what Brooke did was make my life so much easier. If not for Brooke, I would have been up a creek with no paddle, done like Sunday roast or just plain Sc—wed. Brooke and Rudy were of great help to me and I have great admiration and respect for these two individuals. If it was not for them, I would still be fumbling around looking for a house and trying to figure out how I was going to make it happen. They made it happen! Hi Ivo, My name is Linda Brunson and I have had occasion to work with Rudy Matthews, initially about 5 years ago, and more recently when he has been advising me on selling my property here. Rudy has been fantastic, from the first moment I met him on a retirement tour. He knew I wanted to buy in Atenas, and when he found out that someone was selling in Roca Verde, he contacted me, helped make arrangements for my son and I to stay while we looked at property, and then was invaluable when we were actually making the offer. He helped me find a lawyer, and made the whole experience feel safe and enjoyable. More recently he has been helping me with questions as I am selling my property (sadly) but wasn’t going to be able to use him as my agent. (I am selling to my next door neighbor). Rudy has answered all of my questions, despite not getting to make any money on the deal. I hope that you know just how great Rudy is (no doubt you do). I can only hope that sometime in the future I will be able to try again in my dream of living in Costa Rica, and that Rudy will be available to help me yet again. I guess you may know that we are back now living in Costa Rica as we moved early October 2012 into our home near Desmonte in Vista Mar estates between Atenas and Orotina. Isa was showing us homes in this area shortly after we met with you last June. We fell in love with this resale property which was reduced from a motivated seller and brought to our attention by Isa. Together we were able to negotiate a sell along with the owners vehicle to allow us to move to Costa Rica and have a house and car available to us. She continues to help us with all things after moving here and we consider her a friend. I have written previously about Isabelle and her excellent work ethic as a realtor. I will be recommending her to all people I know for her professional approach and great personality as a real estate agent in the Atenas area. She is an outstanding agent and a credit to your organization, you are fortunate to have her on your team. Attentive, responsive and helpful, you’re the best! In June, the two of us (sisters) moved to Costa Rica to explore and create a newly retired life together and experience the culture and beauty of this country. We have not been disappointed! We knew we would be renting a home in Atenas and some friends had recommended Isabelle because of their rental experience with her. Not only did they use her for finding their temporary rental home, but she worked with them to find their own home to buy, which they just recently purchased. About four months prior to our planned move, we corresponded with Isabelle, letting her know of our move time, what we were looking for and seeing what options were available for us. She was attentive, responsive and helpful both before landing in Costa Rica and after arriving here – we knew she was working for us to find just the right rental home. Within a day of arriving in Costa Rica, we headed out with Isabelle looking at 4 rental properties. There was one in that group of four that sparked an interest but was not fully calling out our name. Isabelle continued her search and we met again in the next few days to look at 4 more properties. First one up was what we considered the ultimate “dream home” and with the help and guidance of Isabelle, we secured a lease for that home. We love our home and new life here in Costa Rica. Without any hesitation, we highly recommend Go Dutch Realty. We not only will use Isabelle in the future with our rental needs, but we will recommend her as our “realtor of choice” – whether renting or buying. And to top it off, over and above the great service she provided to us, a nice friendship is developing. Thank you, Isa, for being just perfect for our needs. You’re the best! We spoke to four different agents before selecting Rudy as our agent. My wife and I had serious concerns about buying a pre-construction house in a foreign country, without knowing Spanish or having family and friends in Costa Rica. 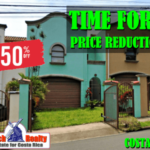 Without a competent and efficient real estate agent, we would not have bought any property in Costa Rica, much less a pre-construction house. We read and listened to stories about the many pitfalls of pre-construction and began thinking of many “what if” questions to ask our agent, Rudy Matthews, and the Builder of our house. Because we had so many questions, we were skeptical that we would have all of our questions directly and efficiently answered. I explained to my wife that if just one “what if” question isn’t answered to our satisfaction, then we would walk away from the deal. Rudy addressed all of our concerns and we signed a pre-construction contract. The construction of our house was completed ahead of schedule. For a reasonable fee, Rudy helped supervise the monitoring of our construction and his contractor-friend found several minor deficiencies that were corrected by the Builder. Rudy also successfully explained what we wanted to our Architect and made some valuable suggestions for improving our house. Rudy is very versatile, attentive, resourceful, and helpful. Even after we moved into the house, Rudy was still there to help us. We spoke to four different agents before selecting Rudy as our agent. We were equally impressed with GoDutch Realty because GoDutch seemed to have the best listings in the Central Valley. Our attorney, Roger Petersen, wrote the book, “The Legal Guide to Costa Rica.” Rudy recommended Roger, but even before we even met Rudy, we read Roger’s book which we thought was excellent. Roger’s legal advice helped save us money. I had a great experience selling my house through Rudy and GoDutchRealty. I had told Rudy because I had tenants in the house that I was only interested in serious buyers, every person he brought met this criteria and there was no disruption to the tenants at any time. Once the buyer made the offer Rudy was very efficient in the back and forth negotiations and once a price was agreed the whole closing process was very smooth. This was my first time selling a property and Rudy made sure that I understood the whole process and the steps we would go through to close the deal. I have known Rudy for a while and because I knew I could trust him and GoDutchRealty I was never worried about misunderstanding Spanish/English translations. I would highly recommend using their service where you can count on trust, efficiency and an agent looking out for the best deal for all concerned. I can say many positive things about Go Dutch Realty and its people. I, for example, can testify to how dedicated all the realtors I worked with while shopping for my house were. How Ivo immediately understood what my needs and interests were and assigned Rudy Matthews as my realtor. How both Rudy and Ivo went “above and beyond” what would be considered their normal duties to make certain that I, not only found the property that I was looking for but also that during a somewhat difficult closing the process was not derailed. I particularly think that everybody should know that with Go Dutch Realty in general, and Rudy in particular, you are not done once you close on a property. They definitely follow up with you to make certain that your transition to becoming a “Tico” homeowner goes as smoothly as possible. In my case, they even came through for me on a minor emergency that took place after my property’s purchase. I have no doubt that if you use Go Dutch Realty you will have friends helping you both during and after the process of buying or selling your house. I now live in Heredia. I look forward to the information provided by the group to help my transition here I wanted to share with you my realtor who helped me locate to Costa Rica. I have to give a five-star rating to Rudy Matthews and GoDutch Realty. In a “buyer’s market” it’s tough when you want to sell. I bought my Escazu condo almost 7 years ago through the guidance of Ivo Henfling. Of course, I would ask him to list it for sale, knowing the work he put in during my purchase process, buying here while living in Chicago. There are not enough praises to sing for Ivo’s efforts! Take Ivo’s advice about proper pricing and attractive staging (decluttering) and your likelihood of a sale is greatly increased. From first look and offer to closing… 9 days. Believe me, 9 of the most nerve-wracking days of my life, but Ivo made it happen! Timing and Ivo were everything to me. I nominate Ivo for a prominent place in the Real Estate Hall of Fame. I just sold my house in a tough market! The company who sold my house was “Go Dutch Realty” and the realtor Ivo Henfling. I just wanted to tell you again thank you for all of your assistance in selling my condo in Santa Ana. Selling your home can be a very tiring and arduous experience, I know because I am a realtor myself. But thanks to Ivo, we sold my home quickly and everyone was happy… both buyer and seller! Ivo is honest, efficient, and his communication skills are excellent. I was informed every step of the way and if I needed any additional paperwork or support,… Ivo and his team were there to give that support. Hi folks, this is Keith and Marlin Watlington – new home buyers in Escazu. We are certainly not new to Costa Rica, Marlin is a national and our 12-year-old daughter was born here – what is new to us is being new home buyers and now owners. One might ask; what’s the deal? Where can I find a good agent? How hard is it? How long does it take? How much will it cost me? And, will I have a good experience? Testimonials are often motivated by emotional reactions developed by the complete experience. Some will have good experiences and some will have bad ones. In our experience, we found one thing that made the overall difference – our agent. Folks without a good agent you are more likely to have a bad experience than a good one no matter how the deal goes. We are not ones to over-complement and we expect professional service and good attention and communication. Well, haha, that is not often the case in Costa Rica – God bless it. Ours was a good experience because all involved were nice folks and we all wanted to have a good experience. This is not always going to be the case and both buyers and sellers can be a real pain in the caboose. The wildcard is the agent. The agent is the pivotal point and fulcrum in balancing the two parties and working with the other needs as well. With no hesitation and with great esteem and admiration we highly recommend Mr. Ivo Henfling from GoDutch Realty. The list of reasons is too long to write here and I do want to keep this short and sweet; however, Mr. Ivo has come to be more than just a good realtor and trusted advisor to our family – he has become a part of our circle of professional friends. We found Mr. Ivo to not only know his stuff about buying and selling houses in Costa Rica, but he has been our go-to guy for many of our other needs as well. Service after the sale you ask? You bet you get it with this guy. He doesn’t disappear after he gets paid, nor does he give you that great big sigh when you ask him for more assistance. Mr. Ivo loves his work with a passion and is diligent and tenacious about moving the process along as quickly and smoothly as possible. He truly wants his clients to enjoy and be satisfied with the home buying or selling experience and it shows in everything he does. If you want to buy or sell a house and you want the best agent in Costa Rica – give Mr. Ivo Henfling and GoDutch Realty a call today! Don’t find out later you made a big mistake with another agency – these are the folks you want to deal with. We would just like to thank Rudy and Ivo for all their help with the purchasing of the house in San Joaquin de Flores Costa Rica. Not only did they both provide excellent service during the purchase process, but they have been more than willing to answer any questions that we had even 9 months later. They have provided great information on shipping companies, general contractors and other helpful advice for the new homeowner in Costa Rica. We were so pleased with their service that we recently provided their contact information to a fellow government purchasing professional based in Vancouver, Washington, USA. We are doing our due diligence and found your website and blog. Ivo, we love the way you tell it like it is. The world needs more of that! I often say instead of spending money on Customer Service training, companies should just encourage their employees to relate to customers as real people. Hopefully, you’ll help us be better buyers when the time comes. I was asked to rate Mike Newhouse’s performance in the Costa Rica real estate purchase done recently for me. Mike’s hospitality was outstanding, and the best of numerous realtors I have dealt with in the past. His commitment to ensuring my being educated about the process was great. His willingness to dedicate time to show me the neighborhood, and acclimatize me to the Hispanic culture was way over what was expected. Mike’s dedication to the completion of the transaction was also great. His ability to tolerate unforeseen circumstances in the transaction was good. His continuing to be available to answer questions, and to be generally friendly and helpful months after the sale completed further enhance his professionalism. To summarize I find Mike to be a superior realtor in all aspects. It was a pleasure to have dealt with him, and to continue his acquaintance. Please accept this letter in recognition of Rudy Matthews who recently handled our residential real-estate transaction in Heredia, Costa Rica. Rudy worked very hard for us to make the sale a possibility and he represented our best interests at every step. He recommended only the most professional associates to handle every detail of the sale. Rudy was always extremely accessible and easy to work with. Since we were not in the country, we obviously trusted him with our property and possessions and we were not disappointed. In addition to every detail of the sales transaction, Rudy arranged for property management, legal services, relocation assistance and many other details. He was truly a full-service broker. 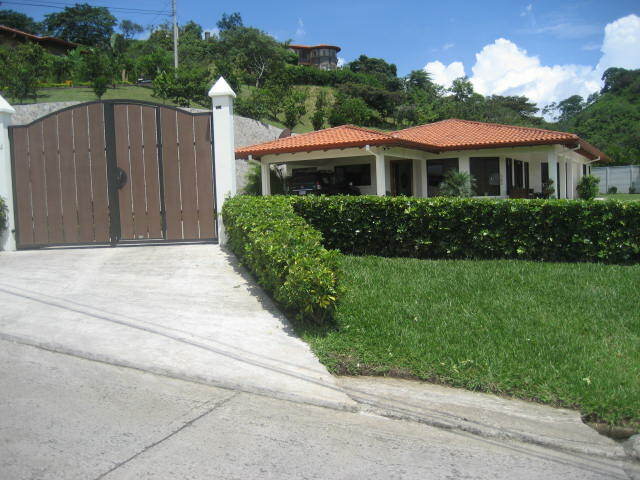 We would be happy to recommend Rudy to anyone who is buying or selling property in Costa Rica. Sorry, for no response as we are on a cruise. I had 93 realtors in CR when I had my house for sale. Ivo is the best. Even if you deal with anyone in American – European real estate group, make sure Ivo takes care of you. This guy is professional like nothing you will see in CR. I have cc this letter to him. You know we are into perfection and Ivo is that. We are back Sunday. I will write you later. Cameron and I wanted to take the time to let you know how much we have enjoyed working with GoDutch Realty, and in particular with your local realtors, Isabelle and Howard Jones; we have dealt with the Joneses, primarily Isabelle, since March 2007 when we made our first property purchase here in Costa Rica which was on our first trip to Costa Rica! Isabelle–called Isa by her friends– made the whole process practically painless for us: she asked many questions first, in order to determine what we were looking for, by asking lifestyle, interests etc, then showed us homes that fell with in our area of interest; she took the time, to introduce us to a local attorney in Costa Rica, helped us open a bank account, and gave us advice on living in a foreign country based on her and her family’s experience; In particular, both Cameron and I felt that Isa never pressured us, and in fact always gave us the pros AND cons of a property etc, which is something we never experienced in the States in dealing with realtors! Since then, we have had several additional real estate transactions with Isa, including the latest, the sale of our home in Roca Verde in Atenas! We couldn’t be more pleased with the level of professionalism, knowledge reliability and honesty exhibited by M/M Jones at every point! We can truly say that Isa and Howard go the extra mile (and more) for their clients–we couldn’t be more pleased! Ivo, not only is his name unique but so is his service! 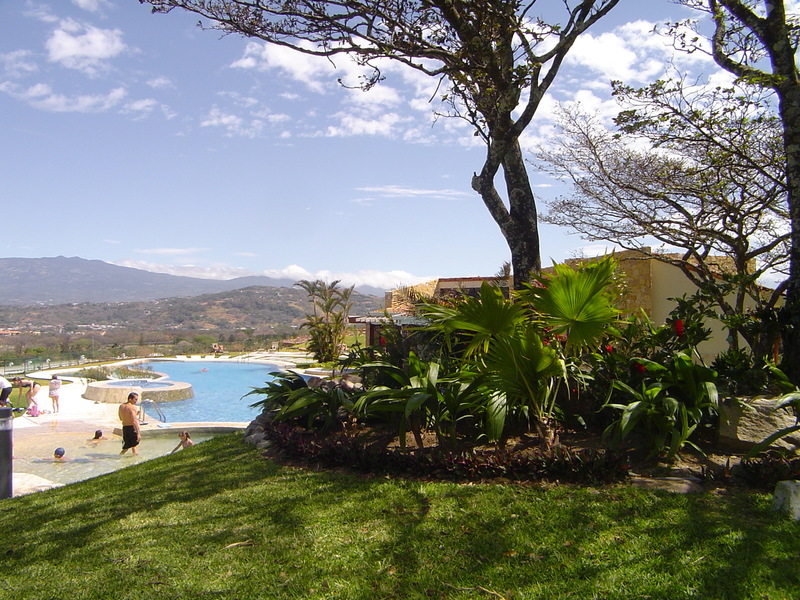 My husband and I came here to retire in Costa Rica, but our situation was far from typical. For starters, we were both in our late 20’s. We had a one-year-old son & I was 6 months pregnant. When we started our house hunt we were disheartened to find that most realtors just ignored our wants & needs and just wanted to sell us whatever would make them the biggest commission. After becoming frustrated with what seemed like a futile search for our dream home, a friend told us to call Ivo and directed us to his website. 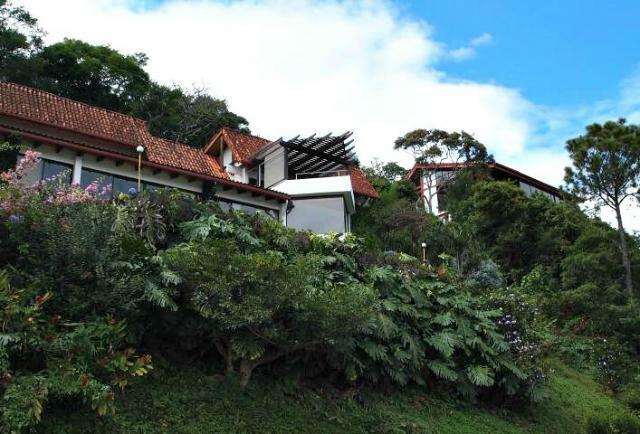 I went to his site and was immediately impressed by his complete knowledge of not only Costa Rica real estate but of how to make a smooth transition into life in Costa Rica. I started browsing his site and there it was, a picture of the most perfect driveway on Gods earth! Now I know it was only a picture of a driveway, but something inside me had to have it! I showed my husband the listing and we set up a meeting with Ivo. It was the first property we went to see with Ivo. And what do you know, we fell in love with it. Now that could be the end of it, but no. Ivo insisted that we make sure we were making the right choice. He showed us a few more properties in Alajuela to make sure we had something to compare it to. Fast forward to buying the house. Ivo made sure the transaction went perfectly smooth. Now, this could be the end of the story as well, but NO. We have to remember we are dealing with Super Agent Ivo! He then assisted us in opening a bank account, getting our utilities switched into our name, getting cell phones, recommended a moving company, getting internet (which was a small miracle in itself) and several additional things that made our transition so easy. And he got it all done before my baby was due! Anytime we have had a question or needed help he was there. He doesn’t stop helping after the check is signed. He is a one-stop shop for everything you need to set up your new life and plan to buy or rent real estate in Costa Rica! Just a short note to let you know that it was a pleasure working with Rudy on the purchase of the house in Hacienda Las Flores in San Joaquin. Rudy was very knowledgeable and easy to deal with and provided up to date info on all issues pertaining to the purchase of the condo. We would certainly feel very comfortable and happy with recommending your company and Rudy to anyone in the future that we know is interested in real estate in Costa Rica. 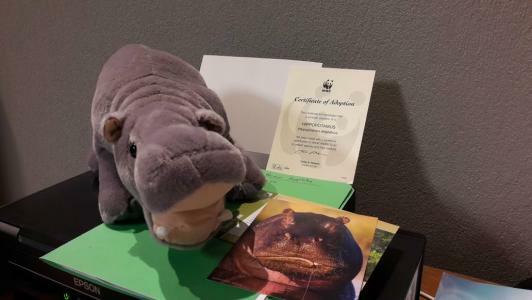 In spite of your stellar efforts on our behalf and all of our best-laid plans, it would now appear as though our Costa Rica relocation will not take place due to circumstances beyond our control. Our disappointment is heartfelt as is our sincere appreciation for all of your unselfish professional time and effort dedicated to us. I’m coming back to CR later this week simply to unwind our banking relationship (which believe it or not requires me to personally come to the bank versus close everything out by notarized letter!). Not sure how we can show our appreciation any more than to offer our name and contact information for use by you as a reference whenever necessary. Also happy to come up with a “testimony” for your website if it would be helpful. Beyond the above, allow us to simply thank you one more time for your hospitality. You’ve not seen much until you’ve seen GoDutch!! 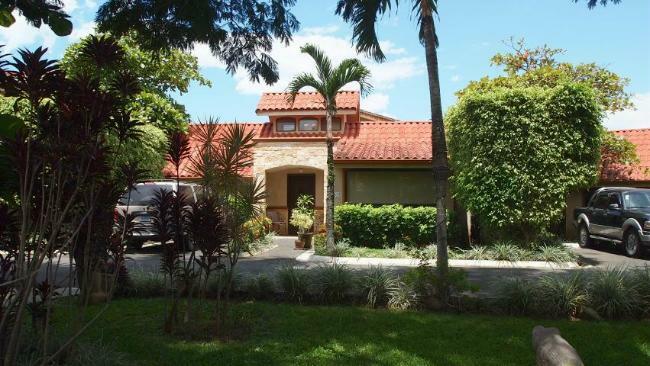 GoDutch Realty and Ivo played a key role in developing within me a “comfort zone” for purchasing property in another country and to retire in Costa Rica. I signed the contract and paid the deposit on my condo on the 6th day of my first visit to Costa Rica. A leap of faith? Some people say so, but Go Dutch did not steer me wrong and I’ve been in my new condo for a year and a half. My GoDutch Realty agent was knowledgeable of the geographical areas, demographic profile and cultural differences unique to a given area or neighborhood. Furthermore, the agent was able to point out climate differences in various areas of the Central Valley. 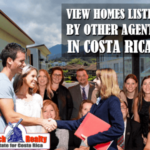 The agent’s knowledge of these points helped him determine the Costa Rican area to be the “best fit” for the potential buyer, based on the buyer’s (my) preferences. Having purchased and sold several homes in IL over the span of almost 30 years, there were many steps in the process for the Costa Rican purchase that were unfamiliar to me. My GoDutch agent made the process understandable and seamless. Almost incredible considering all elements of the process were handled via email with me in the USA (only 3 visits by me to Costa Rica as my condo was being built from the ground up) from contract to closing. My Go Dutch agent went well beyond the expected level of service by USA standards throughout the process. I have been thrilled and amazed with the GoDutch service…….. GoDutch has spoiled me! If my GoDutch agent would have done any more to make my purchase any easier he would have paid for it himself. Top notch service from beginning to end!! I made the purchase of a house in the Condominio Los Sauces in Heredia in the month of October 2010. Our Realtor was Mr. Rudy Matthews, who personally handled all our requests in a proactive and efficient manner. In the process of approval of the bank loan, Rudy was a great help to provide the required documentation expeditiously. His suggestions and solutions were really appreciated. We thank Rudy for all his support and congratulations to Go Dutch Realty for having an employee at this level. Any reference I am at your service. My wife and I traveled to Costa Rica from 1-14 July to conduct our own real estate tour. We started in Arenal, then Atenas, Grecia area and culminated in Orosi Valley. Our objective was to choose an area where we’d like to retire in Costa Rica. It was our first visit and we enjoyed our time albeit with quite a busy agenda. Our three-day visit in Atenas was most productive and we were delighted to meet with Isabelle Jones who provided us a thorough tour of the area and showed us many beautiful homes in Atenas and vacant lots in Atenas. We were most impressed with her knowledge and advice. We gleaned a great deal of information from her about purchasing in Costa Rica. I would like to commend her for the hard work and diligent attention she provided us. She is a vibrant and intelligent agent with an amazing friendly yet professional personality well suited to her job. She obviously loves Costa Rica and we shared her enthusiasm which makes working with her such a pleasure. We eventually chose to buy land in Orosi Valley. We worked with a different realtor there, but Isabelle also extended her assistance to us via email/phone links regarding a land purchase, etc. I congratulate her for her efforts and would rank her at the top of all the realtors we have worked with over the years. She is a wonderful agent with a natural flair to judge personalities, comment where necessary, but most importantly her ability to listen to clients. Isabelle is a great asset to your company and I would recommend her to anyone seeking property in the Atenas area. We hope to visit with her in the near future when we eventually were moving to Costa Rica. The GoDutch Realty’s website had a lot of good information about Costa Rica, and Ivo always promptly gave me specific answers to my specific questions. These helped prepare me for my visit to Costa Rica, also in what to expect in the houses here, no double glazed windows, and no air conditioning, for example. Ivo was very pleasant and knowledgeable, both concerning the real estate market here and the different regions of Costa Rica. Being Dutch, he was always very punctual, prompt in answering questions, a real go-getter. Since I speak Spanish, I did not need too many services. Even though I have already lived here for over five years, I know that if I need any other advice he will gladly give it. He always answers my Emails promptly, which so many businesses don’t bother to do. It was wonderful working with Shell Johanson of GoDutch Realty. I thought that the transaction went very smoothly. I was actually most impressed by the fact that he listened to what I had to say about what I wanted, and then proceeded to find a house that had everything I had put on my list. Shell was very friendly, and a great source of information about living in Costa Rica in general. It was great to be able to call Shell on his toll-free number to ask questions. He always responded to calls and email in a timely fashion. Oh, and let’s not forget that we appreciated being able to work with people (both you and Roger Petersen) who speak English. I would absolutely recommend others to work with Shell. Thank you so much for all of your help in buying our home and retire in Costa Rica. We have some people that are coming to look at our place on Friday, Oct. 22nd, from the U.S. They contacted us directly off of our Viviun.com ad and are not going to another realtor. Anyway, this couple also wanted to look at some other places, possibly some B&Bs for sale…? They originally worked with ******-Realty? but are having some second thoughts and asked us to refer them to a good realtor. We suggested you and told them to go to your website and give you a jingle. So, you should be getting a contact email from Bob Pascarella and his wife Amanda regarding some showings during that time. We were not sure of your schedule, etc., but figured you could work that out with them. Of course we are showing them our place personally, and of course, we want to sell them our place! However, if our house is not what they want, then we want them in capable hands while they are here, and that means YOU. They are special people and we hope they are treated well. I can honestly say that we would not have bought a house at this time if we hadn’t been working with someone as competent, helpful and fluent in English as Shell Johanson of GoDutch Realty in Cariari. It was not our original plan to buy this soon, but once we found the house in Cariari, he (and attorney Roger Petersen) made the rest quite easy. We really appreciate that, and I would not hesitate to recommend Shell to others in our position. I met Ivo Henfling when I had a house for sale in Escazu. My experience was excellent. This house was for sale for a protracted period of time, but Ivo continued to bring clients and he had over a period of time suggestions to improve the look of the property. 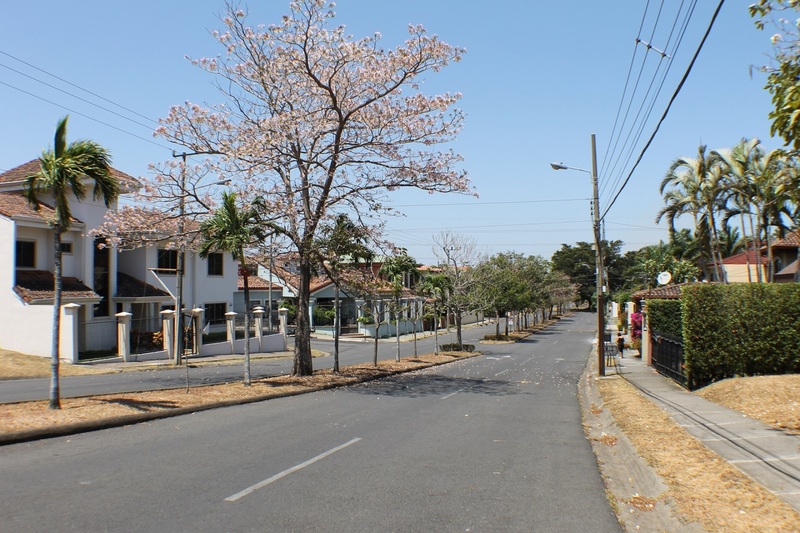 My experience was very good and after I sold the house in Escazu, and was looking for a house in Rohrmoser, Ivo found me a very nice bungalow, which I live in today. My overall experience was good, way above average, and Ivo continues to be an excellent source of help and information. 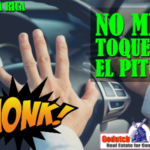 GoDutch Realty didn’t help us make our decision to move to Costa Rica but have decided to move to Costa Rica we called a number of Real Estate Agents who ranged for TERRIBLE to Great – with the only one I would say “GREAT” being GoDutch and our newly found friend Isabelle. We found our GoDutch Realty agent extremely knowledgeable and made a huge effort to show us many properties even if we did buy the FIRST one she showed us after all her effort! GoDutch even provided one of their top agents to translate because the bank refused to finalize our loan without a translator. The final purchase went smoothly and everything went according to what they had promised. We are very happy with the services of Go Dutch realtors and continue to call from time to time as friends as this is the type of people they are. I can’t think of anything Go Dutch could have done for us that they didn’t already do unless it was to pay for the property in Grecia!! Ivo went above and beyond what is expected. I am very satisfied with the post-sale services your GoDutch realtors have offered me. Especially the free checking of my property registration through Property Guard to ensure nobody is tampering with the ownership. GoDutch Realty’s services were an important benefit to assist with my decision to move to Atenas in Costa Rica, especially the combination Isabelle – Ivo. In a time of difficulties it is easier to discuss this in Dutch with Ivo. Our agent Isabelle did an outstanding job, much knowledge about the market, very patient, and courteous. Again a sincere thanks Ivo for your follow up and professionalism, it is something severely lacking in CR. I can see that it is no coincidence that 2 independent people recommended you without any sort of prompting. We had a very good experience with our GoDutch Realty agent Mike Newhouse. 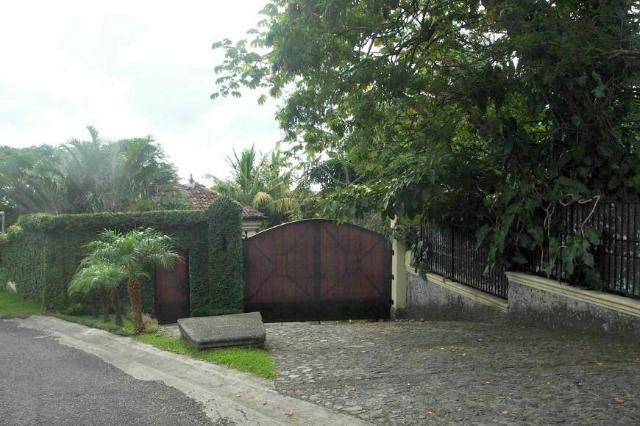 We are delighted with the property in Escazu we bought. We have no complaints at all, everything was handled very professionally. The post-sale service was excellent and we were also very happy with the legal advice we were offered. We were entirely satisfied with Mike’s service and would recommend him to any future potential clients. Ivo Henfling was the most helpful and sincere Real Estate agent I have ever met. In the US Real Estate agents are not as helpful and are misleading and high pressure. Ivo is very knowledgeable and will go way beyond what is expected from a Real Estate agent. GoDutch Realty’s services were absolutely an important factor in our decision of moving to Atenas, Costa Rica. We first visited Costa Rica in 2004 and Ivo was very diligent and helpful in showing us areas and homes around the Central Valley. When we returned in 2006, our friends who had been with us in 2004 and us, decided that we wanted him to help us search for possible homes for both of us to purchase. Both Ivo and his associate Isa Jones were most helpful in finding us an attorney, property inspector and geologist to help us with our purchase. They both have continued with good advice and helpful information since. My entire experience with GoDutch Realty was excellent. I received frank, honest advice before the sale and an uncommonly attentive service after the sale. Ivo Henfling is a treasure chest of information and contacts that every homeowner needs from time to time. He is very generous with his time and experience. My experience during the purchase transaction of my townhouse in Escazu was excellent. Ivo provided a draft Offer to Purchase and negotiated the shoals of an unusually-complex purchase process. He is very knowledgeable and brings a good sense of humor to the process. He told me what he thought a property was worth, even if his assessment was below asking price, and this honestly made me feel quite comfortable, and confident, throughout the buying stage. I am absolutely satisfied with the post-sale services my GoDutch Realtor has offered me. Most agents disappear once the commission check is cashed. Ivo makes it a point to stay in touch, and helped me solve many problems — with local government, finding and dealing with tradespeople, etc. He is my “go to guy” when I need something done. My experience with Ivo in Costa Rica was the best I have had, in any country. Mike, thank you for all the hard work. Our experience with my GoDutch Realty agent Mike Newhouse was 100% positive and Mike went above and beyond what I expected. We are totally satisfied with our experience during the purchase transaction of our real estate in Costa Rica.